Do you ever have those nights where you just don't feel like cooking? 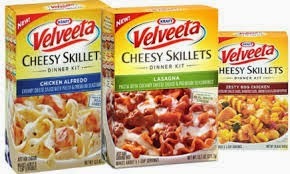 Let Velveeta Cheesy Skillets come to the rescue. Starting July 27th, you can snag them for ONLY $1 after coupon. You better believe that we'll be adding several boxes to our stockpile.